Digital Color Printing | Print Turnaround, Inc. This is the bread and butter of our company. Our equipment runs day and night to meet the needs of our customers. 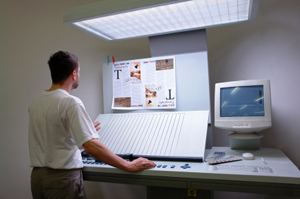 At Print Turnaround we are using state of the art technology for your digital printing needs. Have a repeat order? Not a problem, our equipment allows us to store jobs on our system for the convenience of our customers. At Print Turnaround our operators are some of the most qualified in the business, and are here to ensure the quality of our products.